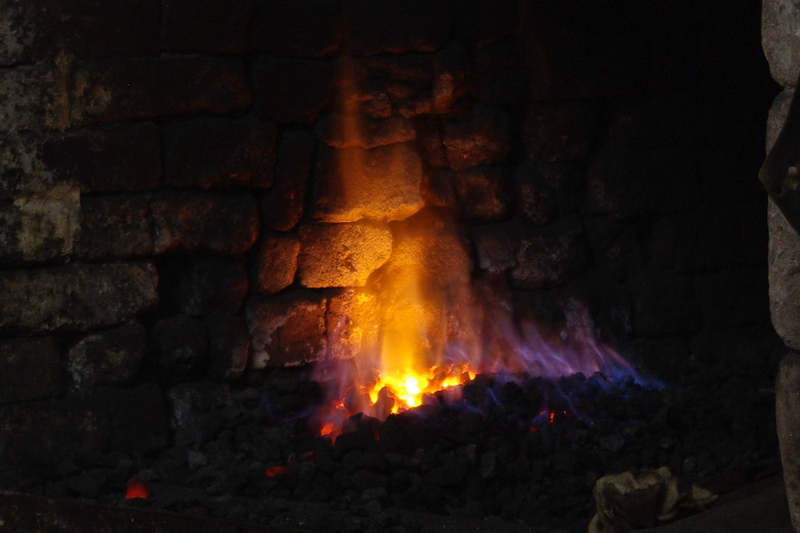 For thousands of years, man has not only used fire to cook food and provide warmth, but also to process metal – to extract it from ore, to refine it, and to work it. This working forge, which has a large hand-operated bellows unit at one side, is part of a Derbyshire heritage site, where on certain days you can not only see it in action, but also have a go with a hammer on hot metal, yourself! Here, a length of steel bar is being heated to a workable temperature. This post continues my involvement in the Alphabet Photography Project. 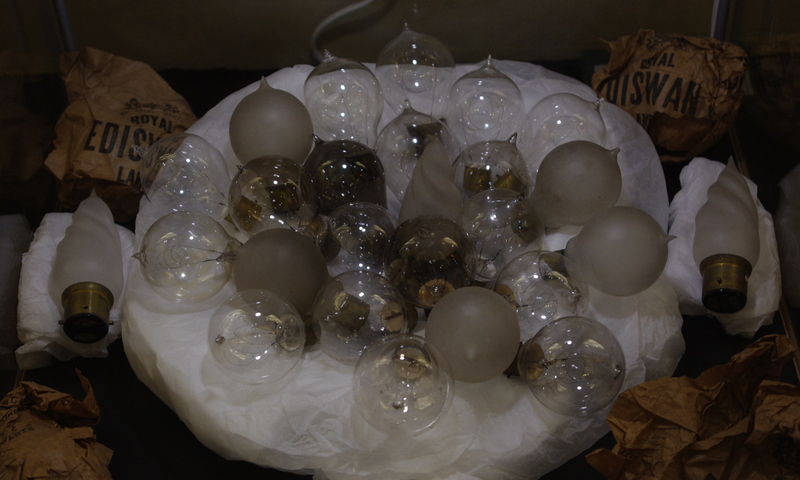 This picture shows part of a collection of early filament lamps made by the Ediswan Lamp Company, a company jointly established by Thomas Edison and Joseph Swan – they decided this was a better idea than arguing about patents for the rest of their lives! This collection is on display at Cragside, Northumberland, originally the grand home of scientist, engineer and industrialist William Armstrong, now owned by the National Trust. I think the adage is true: children and animals are both, indeed, hard but rewarding subjects for any photographer – and the perseverance is worthwhile! 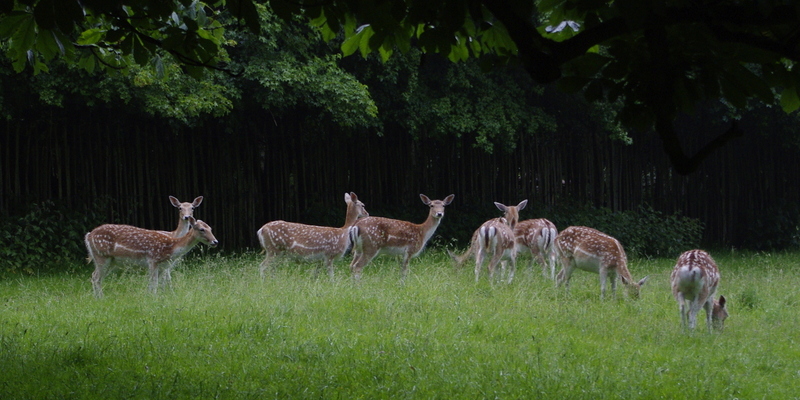 The word ‘deer’ incidentally, comes from an old word for an animal; a wilderness was literally a wild-deer-ness! This post continues my response to the Alphabet Photography Challenge. In common with many photographers, I find trees fascinating, and interesting to photograph, and cedars particularly so. 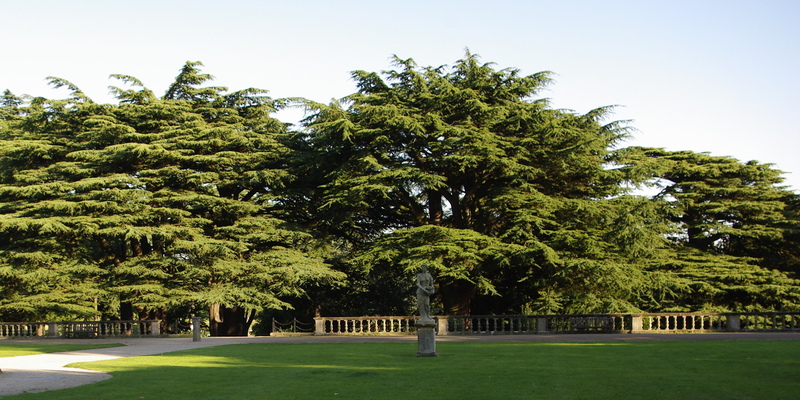 Here, in the grounds of Wollaton Hall, Nottingham, just one or two of the cedars of Lebanon, planted in 1588 (yes, the year of the Spanish Armada!) remain alive and standing, still giving off their characteristic scent on a warm day. Well… I mean… It’s obvious, isn’t it? 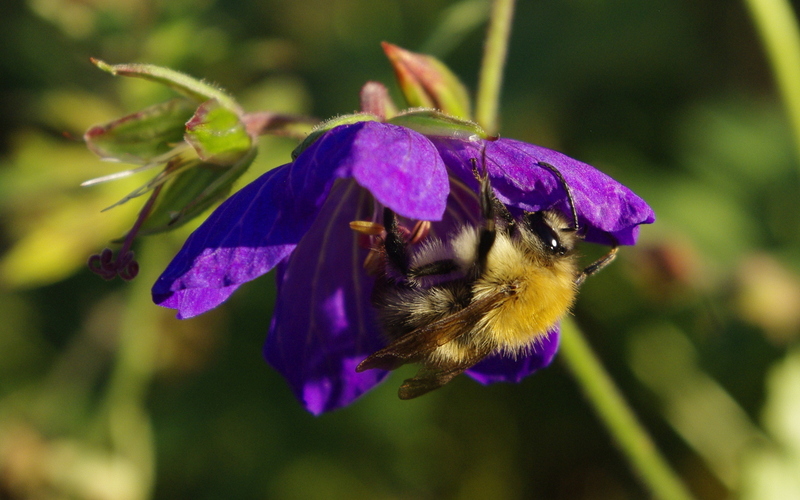 Bees are fascinating and highly photogenic little creatures, and we should all be in a bad way without them. 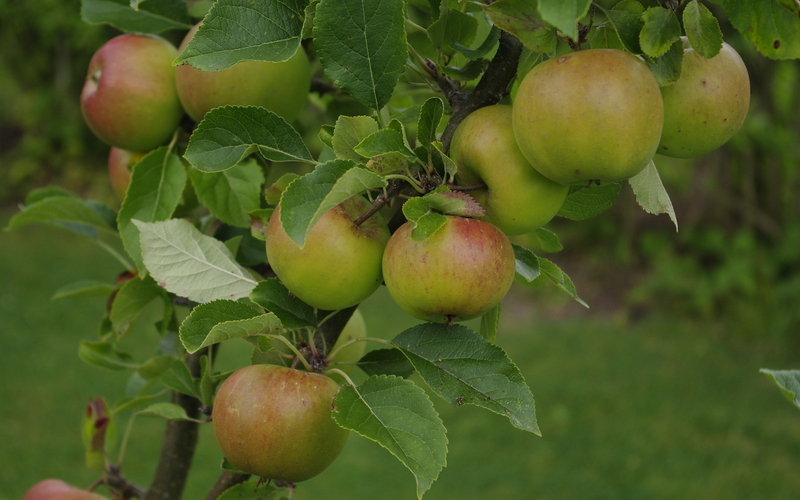 Their contribution to pollination of flowering trees and plants that give us fruit is highly significant! From time to time, I’ve been asked about how to achieve shots like this, so I shall add a few words on this, here. This shot was taken using an ordinary ‘kit’ lens on my DSLR and the resulting image has been cropped down somewhat. A true ‘macro’ lens, which can focus much closer, would give a potentially better result. However, in either case, the most important issues are to do with focussing and depth of field. A DSLR, and, indeed many other cameras, will allow you to select the focussing mode. Either select ‘centre spot only’ and aim the focus point at the bee’s eye, or alternatively, switch over to manual focussing, set a close distance (for this lens, the closest possible setting is around 0.25 of a metre) and focus by moving the camera towards or away from the bee (or other small subject) to obtain a sharp focus. Now, a certain zone, from a little closer to a little further away than the focus point, will give acceptable sharpness. This zone is known as the depth of field. The larger the aperture setting (i.e. the smaller the f number) the more light you will capture, enabling in turn a faster shutter speed to be used. The trade-off, however, is that the depth of field reduces – and in macro photography, the depth of field gets very small, so that only part of the subject is in focus! We are now tempted to get round this problem by increasing the sensitivity (ISO) setting. The downside here is that this results in a reduction in image quality. Now, here is where the latest models score: they can give very good results at high sensitivity settings (typically ISO 3200) unlike my older model, which starts to show significant degradation of the image above ISO 400. Fortunately, I was blessed with good sunlight on the day this shot was taken! This picture continues my response to the ‘Alphabet Challenge’.